Family limited partnerships have had an important role in lowering gift taxes and estate taxes for generations. These fantastic planning tools, which can also offer powerful asset protection for heirs, especially when coupled with the intelligent use of trust funds, are a cornerstone of many modern wealth management planning strategies. Learn how family limited partnerships work, why successful families tend to prefer them, and how the tax savings might look. As a new investor, you already know it isn’t only about how much money you make, it’s how much you keep in your pocket. In addition to watching out for frictional expenses such as brokerage commissions, it is important to learn how to lower taxes. Most new investors think only about capital gains taxes but for those approaching retirement, gift taxes and estate taxes are equally important considerations. By pooling your investments in a special type of legal structure known as a family limited partnership, you can transfer your assets such as stocks, bonds, real estate, art, collectibles, and more to heirs such as children and grandchildren by gifting partnership equity each year up to the gift tax limits. If you are married, you can give away, even more, each year because the gift tax exclusion levels effectively double. It is a great way to help you keep the investments you build up through decades of hard work in the family rather than having the government take them. Each year Congress allows a person to give away up to a certain amount, tax-free, to others. Married couples can combine their annual gift tax exclusions and effectively double the amount of money they can give to a person. For the tax year 2016, the exclusion is $14,000 per person (married couples can give a specific person $28,000 between them, with each spouse making $14,000 of the gift; another of the 1,400+ legal and financial benefits of marriage in the United States). This exclusion applies per recipient. That is, you could give ten different people $28,000 each, or $280,000 total, and pay no gift taxes. If you exceed the annual gift tax exclusion in any given year for any specific person, it must count against your unified lifetime estate tax and gift tax exemption. Without getting into that latter part too much, basically, it counts against the amount that your estate can exclude when calculating estate tax. If you blow through your entire lifetime exemption before you die, every penny of your estate could be subject to estate tax rates that, historically, have been extraordinarily high to the point they border on confiscatory. An illustration might help. Imagine that you are married. You and your spouse have amassed $5,000,000 by saving and investing over a lifetime. You have four children and sixteen grandchildren. Recall that, for 2016, the gift tax limit per recipient is $14,000. That means between you and your spouse, you can transfer up to $28,000 to each of your children and grandchildren without paying a penny in gift taxes. You pool all of your assets into a family limited partnership and name yourself and spouse as the general partners, giving you combined control of the day-to-day management. Your stocks, bonds, real estate, art, collectibles; all of it gets contributed to the family limited partnership. On January 1st of each year, you transfer $28,000 worth of the family limited partnership interests to your twenty beneficiaries (four children and sixteen grandchildren). You can even insert provisions in the partnership agreement to help ensure that your gift isn’t squandered; e.g., making it so that they cannot sell their shares or transfer them to anyone else (such as a spouse if they get married) until they reach their 35th birthday. Gifts to minor children can either be done through a UTMA or even a spendthrift trust. This means that each year, you can give away $560,000 worth of assets without paying a penny in gift taxes or touching your unified lifetime estate and gift tax exemption ($28,000 transferred to 20 different family members = $560,000). Even better, going forward, your children and grandchildren now own equity in the family limited partnership so they will receive all of the dividends, interest, capital gains, and other profits from their ownership stake. That means the future returns, if any, will accrue to their benefit and be excluded from your estate for estate tax purposes. For example, if the family limited partnership increased in value by 10% after taxes the first year due to rental income, property appreciation, stock gains, cash dividends, bond interest, or other factors, at the end twelve months, you would still have $4,884,000 and your family members would have $616,000. This means you not only gave them the $560,000, but they also enjoyed $56,000 of the partnership's return, too. That's an extra $56,000 you don't have to give in future years. Plus, next year, they'll earn the investment returns on that extra $56,000, too, creating a virtuous compounding cycle. Thanks to a famous court case in the United States, units of family limited partnerships can often qualify for liquidity discounts or, as they are formally known, "discounts for lack of marketability." What this means is that the IRS won't value the partnership units at their net asset value but, instead, perform a series of complex calculations that will attempt to account for things like a lack of control, an inability to sell unless the majority holders agree to it, and other drawbacks that aren't present in property gifted outright without restrictions. Since you and your spouse, as general partners of the family limited partnership, still control the family limited partnership even after you've made the gift to your children and grandchildren, the gift isn't worth as much as it would have been if you'd simply handed them shares of Coca-Cola or cash they could deposit in the bank. That's true even if the family limited partnership owns shares of Coca-Cola and has cash sitting in the bank because the gift recipients can't do anything with it, yet. They can't go down to a car dealership and buy a new Tesla or Jaguar. They can't take a vacation with it. Typically, if properly structured with the advice of qualified accountants and attorneys, you might be able to get liquidity discounts of up to 50% of the net asset value of the underlying family limited partnership units. More generally, you should be able to get liquidity discounts of at least 25%. The specifics will depend on the unique circumstances surrounding your particular family limited partnership and should always be taken only after careful consultation with your tax, legal, and investment advisors. Imagine that your advisors believe you can take a 35% liquidity discount for your family limited partnership. Going back to our earlier illustration, this means that you could actually gift $43,076.92 worth of family limited partnership units to each of your 20 heirs, or $861,538.40 total, while only counting it as $28,000, or $560,000, for tax purposes. This puts an extra $301,538.40 in the collective hands of your heirs, which will then compound for them outside of your estate. The next strategy for lowering gift taxes and estate taxes with a family limited partnership involves lending money to your family members or other heirs at low-interest rates, then using that loaned money to buy family limited partnership units that compound at higher rates, effectively arbitraging the difference over time so more and more wealth is transferred to your chosen beneficiaries. The minimum interest rate you can charge before it counting as a gift for gift tax purposes is known as the "applicable federal rate", or AFR. The IRS publishes these rates every month, in advance. Let's look at the month of March 2016. Here are the applicable federal rates. Let's imagine that after using liquidity discounts and gifting $43,076.92 to each of your children and grandchildren, or $861,538.40 total, you decide to lend each of them $100,000.00 to buy family limited partnership units. You write the promissory note so that the debt is secured by the limited partnership units and set the repayment period at 30 years. Let's ignore additional liquidity discounts for now (you might be able to use the $100,000.00 to buy $153,846.15 worth of limited partnership units if the liquidity discount came to 35%, for example, but that gets into more complexity than we should be dealing with at the moment as it could introduce some tax consequences). Assuming you opted for annual compounding, each of your children and grandchildren will need to pay you 2.33% on the $100,000 loan each year, or $2,330. However, if the family limited partnership units grow in value by a higher amount—we'll use 10% as that is a good rate of return and family limited partnerships tend to own non-standard assets such as local office buildings, privately operated businesses, intellectual property, et cetera along with stocks, bonds, or other securities—the difference of $7,670 effectively goes to the gift recipient, who is using your money to expand his or her own personal balance sheet. As time goes on, inflation reduces the purchasing power repayment of the $100,000 so that, too, ends up in the gift recipient's hands. For families that tend to own assets that can be leveraged, such as private operating companies and real estate, one common technique is to not only combine the liquidity discounts and intra-family loans at the applicable Federal rates but then have the family limited partnership itself go out and borrow money. For example, in this case, imagine if the family limited partnership used its $5,000,000 in principal to buy commercial real estate on a 50% debt-to-equity basis, which is historically conservative. In the Midwest at the moment, it'd be fairly easy in most second-tier markets to transform that into a return of 10% to 15% per annum. Truly intelligent projects by local operators could likely do much more, especially if they had some sort of advantage such as owning a construction company that allowed them to complete developments for lower costs than typical real estate investors could. 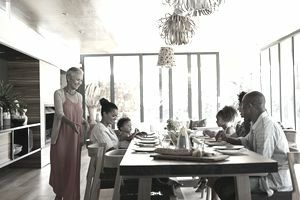 Another huge advantage of this approach is that adult children who are independent but make less money than you and your spouse (read: those exempt from the so-called kiddie tax rules) can keep more of the investment income generated by the family limited partnership provided they fall into a lower bracket. That is because of recent tax law changes put in place by President Obama and Congress. To be specific, as of the tax year 2016, an individual who makes less than $37,650 in adjusted gross income or a married couple who makes less than $75,300 in adjusted gross income, can pay 0% on any qualified dividends on capital gains. For a successful doctor or entrepreneur in a top tax bracket, this essentially means keeping money that would have gone to the Federal, state, and local governments in the hands of your desired gift recipients, instead. Spread out over many family members, this can mean tens and hundreds of thousands of dollars in taxes each year that are no longer owed but, rather, stay within your clan. One of the most brilliant uses of a family limited partnership in the past few generations was Arkansas-based retailer Sam Walton. Sam had a bachelor's degree in economics from the University of Missouri. His wife, Helen, had a business degree from the University of Oklahoma. After experiencing an early failure in Newport, Arkansas, Sam and Helen took their life savings, which they had built from nothing, and left town. The year was 1950 and they had $50,000. In inflation-adjusted terms, that is $491,526.97 in 2016 purchasing power equivalent. Sam was 32 years old. They started their next idea, Wal-Mart Stores, as a series of little discount stores in the Midwest. Each store was organized as a stand-alone partnership with the local manager holding an equity stake as well as lending money to that specific partnership, making expansion easier. Later, all of the stores were consolidated under a parent company called Wal-Mart Stores, Inc., so Sam, his family, and all of the manager/partners held stock in the same business and were equally vested in the success of the then-expanding chain. Only, when Sam and Helen did this, they took their controlling interest in the at-that-time private enterprise and put it into a newly-formed family limited partnership, originally known as Walton Enterprises, L.P., and later, Walton Enterprises, LLC. They divided the family limited partnership into five pieces, keeping one for themselves and giving each of their children one. As the general partner of the family limited partnership, Sam could always vote himself a high salary or extract money in other ways but by doing this, he basically gifted ownership of the stores to his kids when that ownership wasn't valued at very much. The result was nothing short of astounding. After many decades, an initial public offering, and large share repurchase programs, Walton Enterprises, LLC came to own more than 50% of the stock in the Bentonville-based retailer. It collects billions of dollars per year in cash dividends. At Christmas, the family gets together and has its advisors make recommendations. Over time, those dividends have diversified the family limited partnership so that it owns everything from a chain of newspapers to a major regional banking empire. As the Waltons became the richest family in the world, no gift taxes were necessary on the 4/5ths of the empire Sam and Helen gave their kids because the gifts were made when the equity wasn't worth much; little more than a successful small business in a remote corner of the country. The point of all of this is to demonstrate how family limited partnerships, used judiciously and with foresight, can result in enormous tax savings. In addition to unparalleled flexibility, they can also help protect assets depending upon how, and through which entities and legal structures, you hand out ownership. They can be simple or complex. It can serve you, and your family, well to consider them as part of a comprehensive strategy to preserve, grow, and pass on your hard-earned wealth. This is especially true when used in conjunction with other investment tax strategies and structures such as charitable remainder trusts and/or taking advantage of the twin combination of deferred tax liabilities and the stepped-up basis loophole.